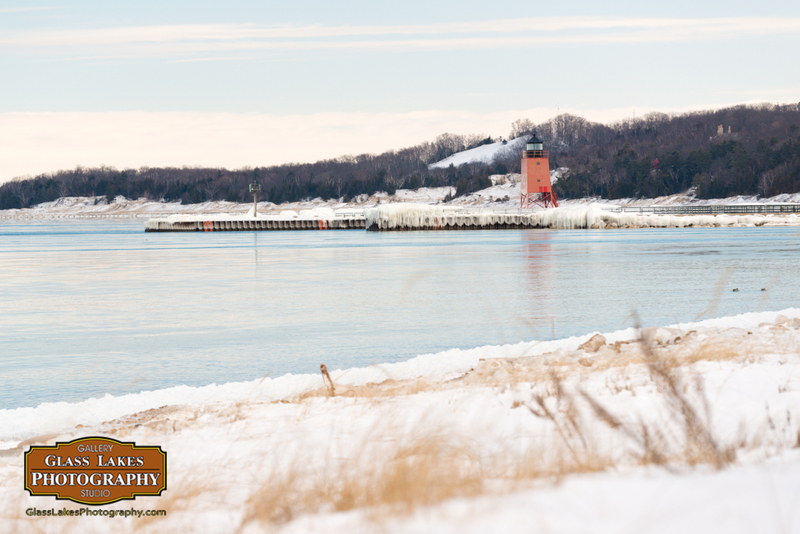 While I was exploring the Charlevoix beach park I caught a few views of the lighthouse. While I was scouting for a spot to shot it, I wanted one where I could find some reflection on the water. Here I combined a layered effect utilizing the plant matter and beach ridge in the foreground, the calm water, subject, and background. These layers create a deeper image, and the lines bring the eye to the lighthouse.